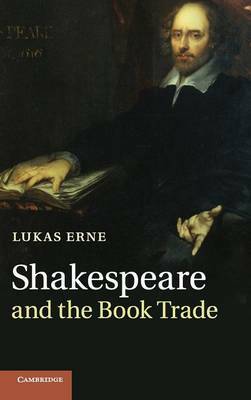 Shakespeare and the Book Trade follows on from Lukas Erne's groundbreaking Shakespeare as Literary Dramatist to examine the publication, constitution, dissemination and reception of Shakespeare's printed plays and poems in his own time and to argue that their popularity in the book trade has been greatly underestimated. Erne uses evidence from Shakespeare's publishers and the printed works to show that in the final years of the sixteenth century and the early part of the seventeenth century, 'Shakespeare' became a name from which money could be made, a book trade commodity in which publishers had significant investments and an author who was bought, read, excerpted and collected on a surprising scale. Erne argues that Shakespeare, far from indifferent to his popularity in print, was an interested and complicit witness to his rise as a print-published author. Thanks to the book trade, Shakespeare's authorial ambition started to become bibliographic reality during his lifetime.